The special challenges of the food industry are perfect for Pick direct steam injection technology. Throughout the food plant, from process heating to plant sanitation, Pick provides instant, unlimited hot water at a precise temperature. Better yet, compared to indirect heat exchangers, Pick can cut energy costs as much as 28% – without the maintenance and operational headaches. And they’re so compact that a Pick heater can be installed virtually anywhere in the plant. 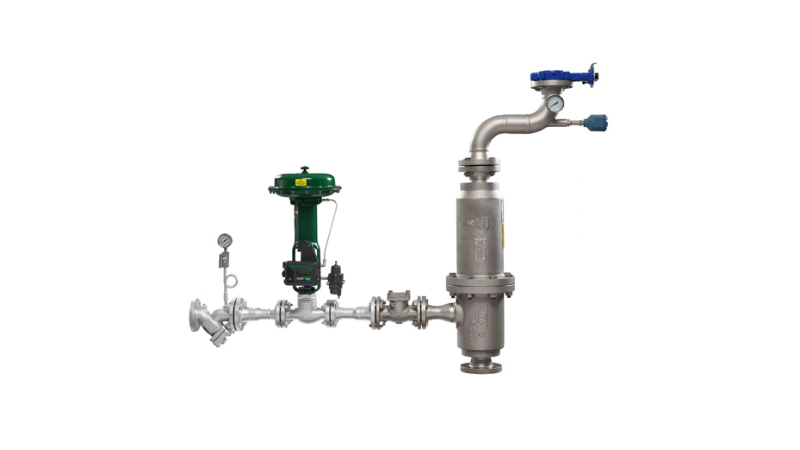 Pick sanitary direct steam injection systems can be used to heat / cook any water miscible liquid or slurry instantly on a continuous straight-through basis. They can also handle slurries containing bite-size pieces such as salsas or stews. Pick Heaters was the first to have a sanitary direct steam injection system that achieves set point temperature on demand with a non-shearing action. The unique, low velocity, multiple orifice steam injector and helical flights ensure intimate blending of steam and product without high turbulence, unlike venturi systems. Put simply, the Pick system injects steam into the product through hundreds of small orifices. Fine ‘bubbles’ of steam are instantly absorbed by the product, resulting in 100% heat transfer. Forget the inherent process inefficiencies and maintenance headaches of traditional batch cooking; the Pick sanitary DSI allows you to heat in-line, with precise temperature control and 100% energy efficiency. Pick sanitary DSI systems are available with complete instrumentation as well as components to produce culinary steam. The Pick sanitary heater meets 3A sanitary requirements, so it’s in regulatory compliance for any food or dairy application. All product surfaces are 316L stainless steel with #4 sanitary polish. Tri-clamp® connections are standard, and other connections are available upon request. The entire unit disassembles in minutes for routine cleaning. 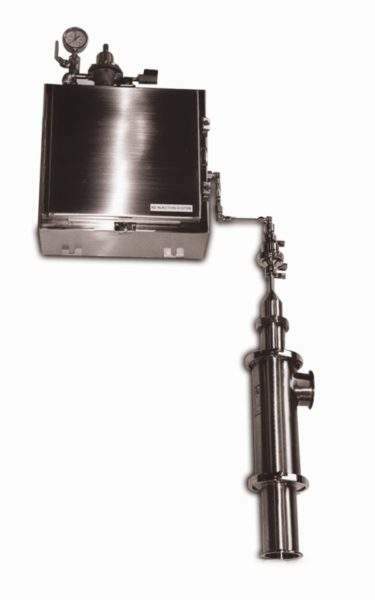 Pick offers two types of water / liquid direct steam injection heaters: the constant flow and variable flow models. The Pick constant flow liquid heater is designed to deliver a constant flow of heated liquid at precisely controlled temperatures. Where a constant flow of hot liquid is required, this close temperature control can cut energy costs substantially. Consider using the constant flow heater for applications such as sterilization, CIP, jacketed kettles, pasteurizers, and retorts. The Pick variable flow liquid heater is ideal where an instant supply of hot water at precise temperature is needed under variable-flow or frequent start-stop situations. It features a minimum turndown of 14:1, with turndowns as high as 100:1 obtainable with dual steam control valves. This heater heats water at precisely controlled temperatures. It is used to heat water for plant clean-up, can topping, can washing, and wherever else demand flow rates fluctuate. The Pick nitrogen injector provides thorough mixing and a non-shearing design to ensure product quality and integrity for nitrogen injection into foods such as mayonnaise, peanut butter and edible oils. 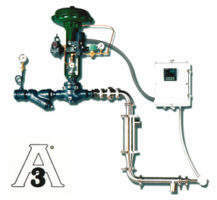 The system comes complete with a Pick nitrogen injector assembly and control package. Customers can rely on over 60 years of Pick’s direct steam injection packaged system design experience and know-how. Each system is ‘custom designed’ to satisfy specific customer requirements in a compact skid or module. Pick can also package a system with other methods of heat transfer equipment, such as shell-and-tube or plate exchanger, with ancillary components for a complete skid mount package. 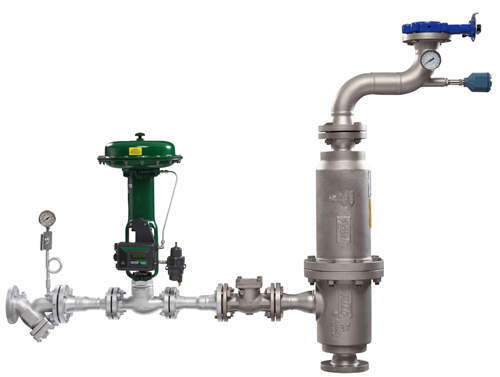 Pick’s packaged systems eliminate the chore for customers to self-source required piping, valves, traps and instrumentation along with the added install costs. Pick Heaters has a worldwide network of qualified engineers along with its highly qualified factory staff to work with you to design a process heating system that meets your specific requirements. Contact us to find out how a Pick heater can reduce not only your energy bills, but your total operating costs. While digging through the Pick factory archives the other day, the company came across a 14-page pamphlet titled ‘Industrial Water Heating – Methods and Means’. 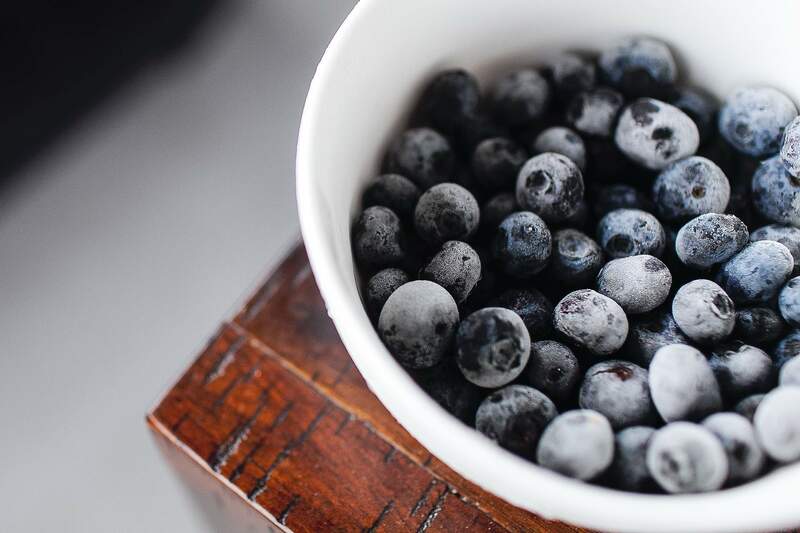 The move is on for ultra-high temperature (UHT) pasteurization, which will extend the shelf life of milk and other dairy products. Maintaining a reliable and safe plant sanitation system is a continuous challenge for companies in the food industry.